Lighting performs essential functions in Hollywood films, enhancing the glamour, clarifying the action, and intensifying the mood. 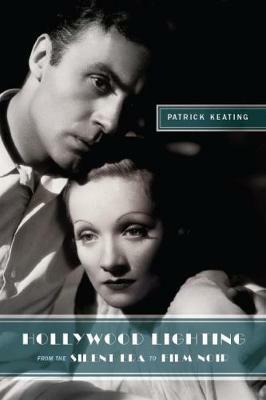 Examining every facet of this understated art form, from the glowing backlights of the silent period to the shaded alleys of film noir, Patrick Keating affirms the role of Hollywood lighting as a distinct, compositional force. Closely analyzing Girl Shy (1924), Anna Karenina (1935), Only Angels Have Wings (1939), and T-Men (1947), along with other brilliant classics, Keating describes the unique problems posed by these films and the innovative ways cinematographers handled the challenge. Once dismissed as crank-turning laborers, these early cinematographers became skillful professional artists by carefully balancing the competing demands of story, studio, and star. Enhanced by more than one hundred illustrations, this volume counters the notion that style took a backseat to storytelling in Hollywood film, proving that the lighting practices of the studio era were anything but neutral, uniform, and invisible. Cinematographers were masters of multifunctionality and negotiation, honing their craft to achieve not only realistic fantasy but also pictorial artistry. Patrick Keating is an assistant professor in the Department of Communication at Trinity University, where he teaches courses in film and media studies.